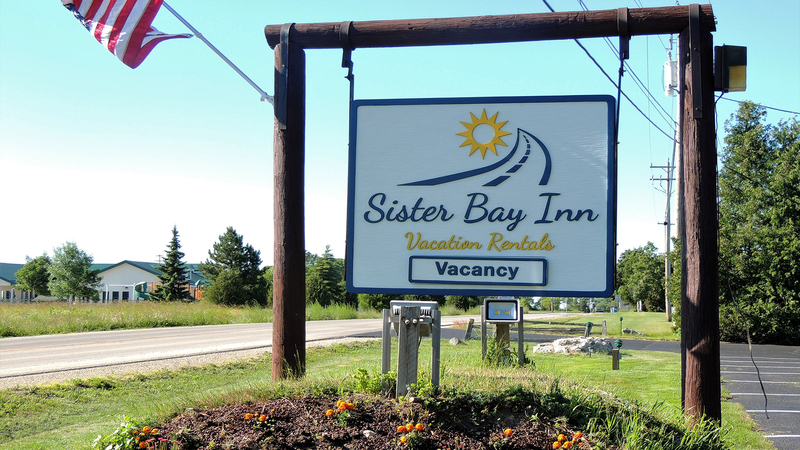 Located away from the crowd on the quiet side of the Village of Sister Bay. Shopping and dining is convenient. After a days activity in Door County you can relax by the outdoor heated swimming pool or whirlpool, have a quiet picnic in our back lawn area, or enjoy the sitting area. We offer 28 rooms with 2 Queen or 1 King size bed, with private bath, in room phones, flat screen tv, refrig, coffee pots and heat and a/c. Complete continental breakfast May-end of October.